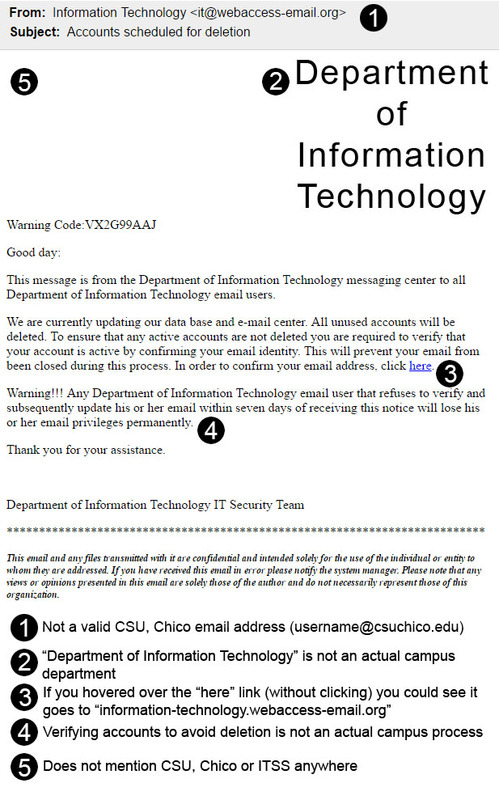 As part of a phishing awareness campaign an email was sent to campus in February that mimicked a phishing email. 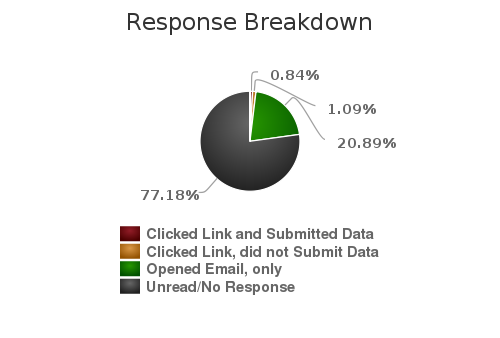 About 8% of us that opened this email were found susceptible to phishing. This is lower than the 16% from a similar campaign in December. February’s campaign differed from December in that it linked to a page that asked for credentials to be entered, instead of just linking directly to educational material. Unfortunately about half of those that clicked on the link then provided credentials. 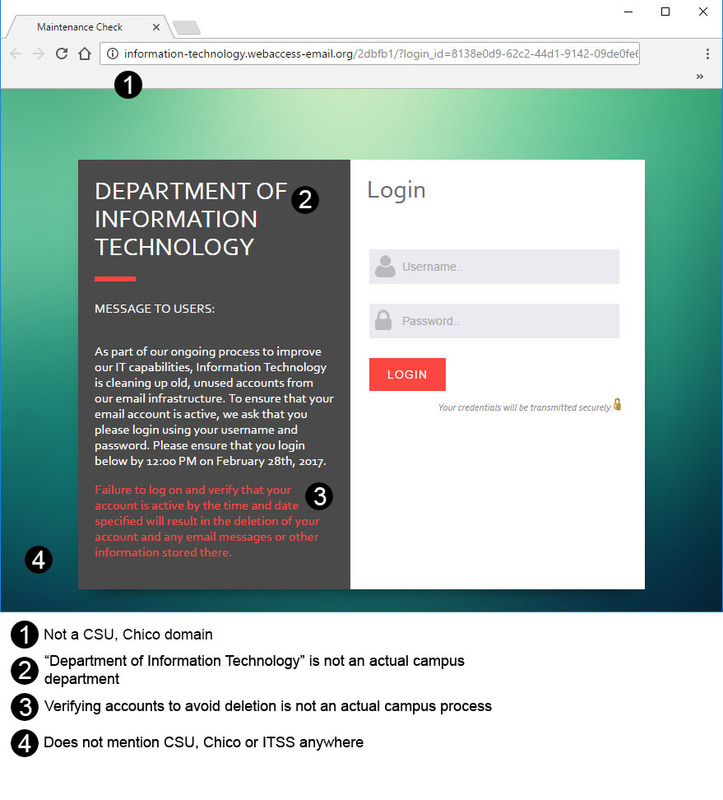 Had this been an actual phishing attempt this would have allowed these accounts to be compromised and put the campus at risk. We are planning future phishing awareness campaigns, including more simulated phishing emails. We hope that improved awareness of the signs and dangers of phishing will reduce the number of compromised campus accounts and resources, and help protect campus data.